Happy Monday Peoples! Hope you all had a great start to the week!! 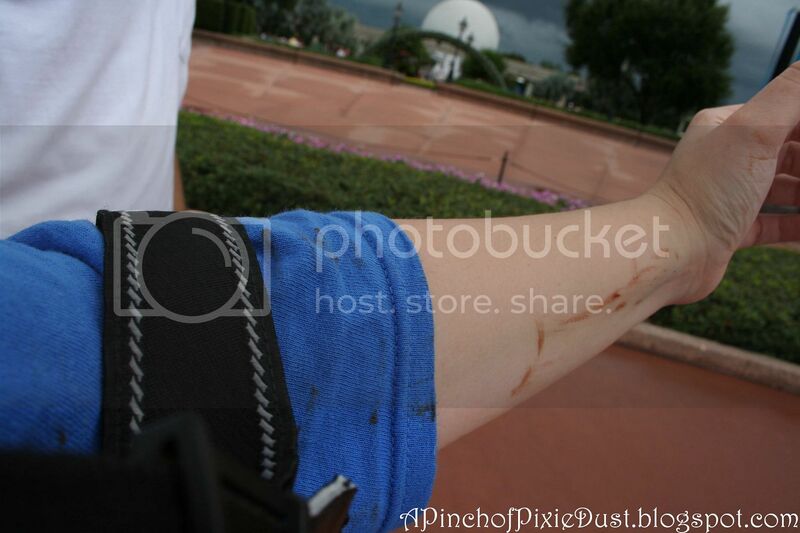 Now you've made it to the end of the day, and it's time for some pixie dust and a sweet treat. Mostly I chose this particular sweet treat because it was featured on Unwrapped on the Food Network earlier this week (anybody else catch that episode?). Sometimes I'm very susceptible to advertising. When I choose to be...or when it's related to Disney. 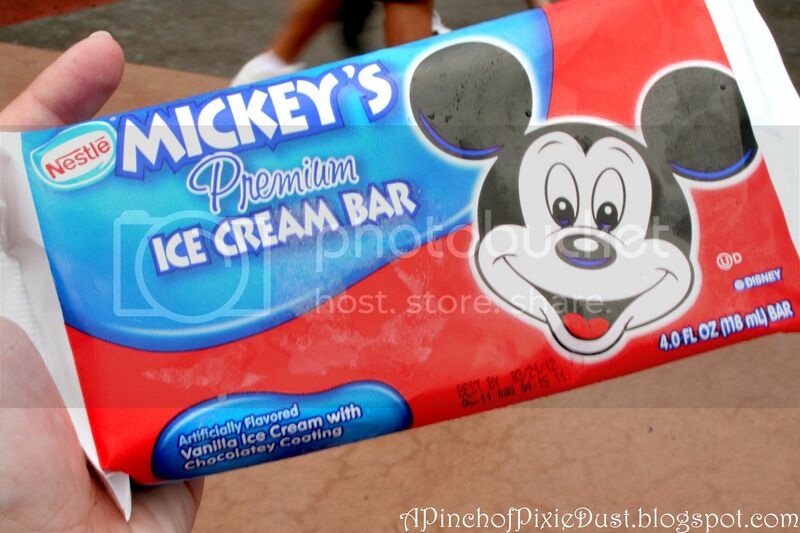 This Monday's sweet is the one and only Mickey's Premium Ice Cream Bar! ANYway, it was still an entirely delicious mickey bar...creamy vanilla ice cream, rich chocolaty shell, adorable mouse shape. ...for both you and your shirt! 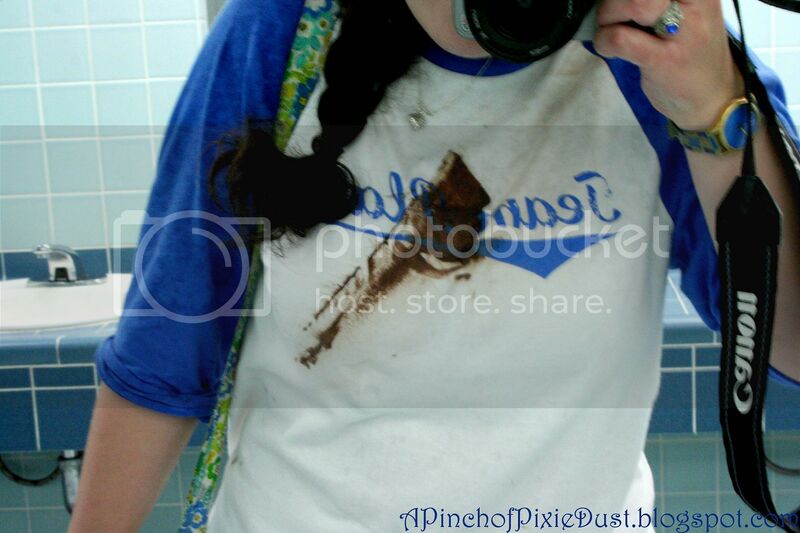 What can I say - sometimes I'm a klutz. 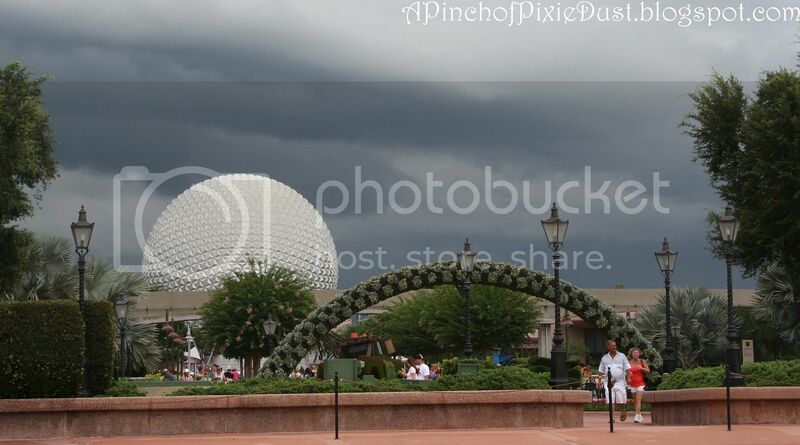 Can't resist sharing one last photo...a stormy sky at Epcot, a lovely view to enjoy while you eat (or attempt to eat!) 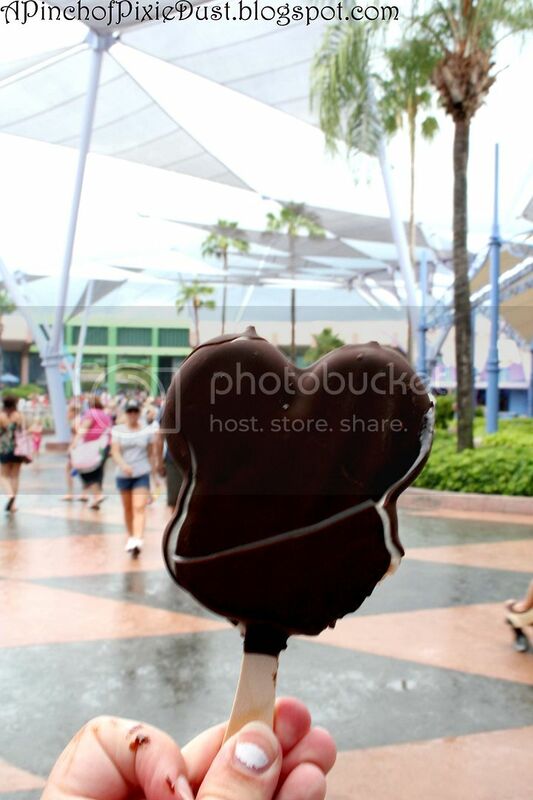 your mickey bar. k first of all, can I just say that I LOVE your blog. I'm a Disney freak! And second, did you get your shirt at Delia's? I think I recognize it. ANDDD I love your Vera Bradley!